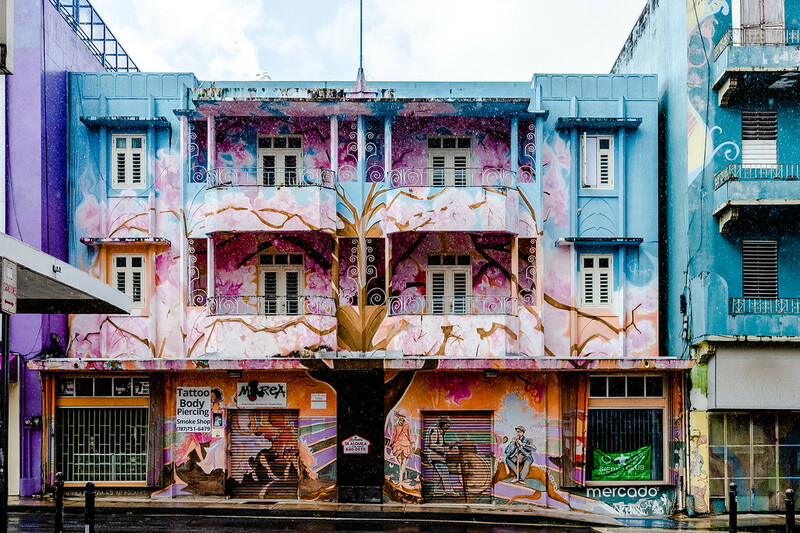 Río Piedras is a neighborhood in San Juan, Puerto Rico known for its graffiti. It’s not popular with tourists because it doesn’t have the reputation as being particularly safe. It is more inland, which means further away from beaches, fancy hotels, and Old San Juan which tourists tend to prefer. Which is why I felt more relaxed here. I really can’t stand tourist areas. It was raining and quiet on a sunday in June. The streets were empty except for a few people. Shops were closed. Somehow this made the graffiti speak louder, scream actually.